Jewelers of America (JA), the national trade association for businesses serving the fine jewelry marketplace, held the 17th annual GEM Awards on Friday, January 11, 2019, at Cipriani 42nd Street in New York. Stewart Wicht, received the GEM Award for Lifetime Achievement and the GEM Award for Marketing & Communications went to Tiffany & Co. The winners in the categories of Jewelry Design, Media Excellence and Retail Excellence were revealed live to an audience of nearly 600 press and jewelry industry elite. Fernando Jorge won the GEM Award for Jewelry Design. The other nominees in the Jewelry Design category were ValÃ©rie Messika and Silvia Furmanovich. The award was presented by 2018 GEM Award for Jewelry Design winner Irene Neuwirth. GEM Awards Chair Olivier Stip of CHANEL hosted the evening. 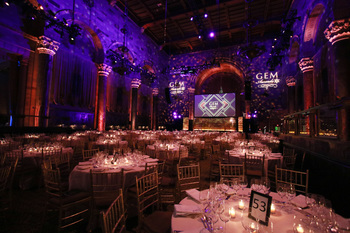 Sponsors of the 2019 GEM Awards included: Cornerstone Sponsors â€“ CHANEL and Synchrony Financial; Premier Sponsors â€“ Rolex and Signet Jewelers; Patron Sponsors â€“ David Yurman, DeBeers Group, Hearts On Fireâ„¢, Tourneau and Wempe; Benefactor Sponsors â€“ Cellini Jewelers, COUTURE, JCK Events, Luxury Jewelers Resource Group, Movado Group Inc., Tiffany & Co., Timeless Distributions and Unique Settings New York. GEM Awards is the fine jewelry industryâ€™s premier accolade gala, which recognizes the achievements of individuals and companies whose work raises the visibility and status of fine jewelry & watches. Proceeds from GEM Awards directly benefit valuable industry programs that enhance JAâ€™s mission to improve consumer confidence in jewelry and watches. For more information, please visit . www.jewelers.org/gemawards.